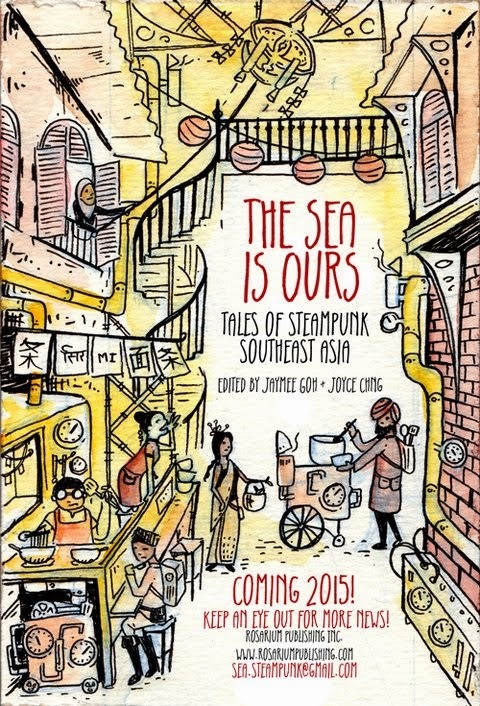 Table of Contents & Cover for The Sea Is Ours! 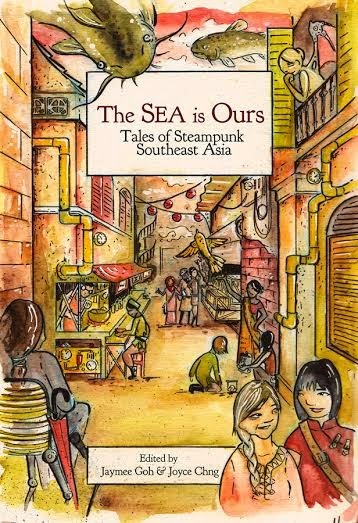 Sometime around this time last year, I sent out a call for submissions to The Sea Is Ours: Tales of Steampunk Southeast Asia. Over the next few months, my co-editor Joyce Chng and I would receive many submissions. Many didn't make the first cut. A few got past, but eventually we could not use them. We were eventually left with twelve stories, with various levels of editing work required, each unique. After that it was a matter of deciding their order, and then getting a cover. I was elated! It was based off a photograph of a street in Melaka, with the kind of architecture one might see in many SEAsian cities. Also, there was food! Shing also works with very delicate watercolours, very different from the other kinds of art that Rosarium, my publisher, featured in their catalog. Several of these writers are no strangers to publishing, and I am pleased to introduce some new writers to the scene! They are all very talented and worked very hard, and I am proud to say that I am their editor. I will post more details on ordering and the Kickstarter as they come!